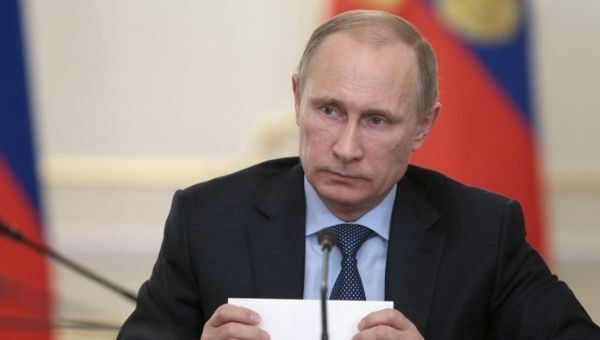 Russian President Vladimir Putin announced one-year bans and curbs on agricultural imports from countries that have placed sanctions on Russia. In reference to the bans, Putin said, “obviously we need to do it cautiously in order to support domestic manufacturers, but not hurt consumers.” Russia buys about US$2.7 billion a year from the E.U. These bans are regarded as a response to the E.U. passing new financial, energy, and defense sector sanctions against the Russian economy. These sanctions include banning imports and exports to and from Russia of weapons and banning Russian banks from raising capital on E.U. markets. The Russian bans on agricultural products is to be imposed immediately and the Russian government must produce a list of the exact products that fall under the agricultural ban. The Cabinet is ordered to oversee the list so that the economy remains balanced and that prices do not rise rapidly as a result of the ban. A series of sanctions have been passed against Russia since March when it annexed Crimea. The E.U. accuses Russia of inciting and arming violent rebellion among pro-Russian separatists in eastern Ukraine.